Dr. Glover has been placing dental implants for over 20 years, and has placed over 3,000 implants in every conceiveable position in the mouth using multiple implant systems. He is trained in the most advanced procedures for tooth replacement such as immediate loading, mini-implants, implant-supported dentures, sinus augmentation and ridge augmentation. Dr. Glover is an expert in periodontal bone regeneration to positively influence the result of implants and constantly monitors new research on the subject. 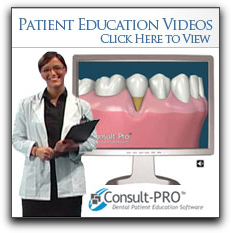 Traditionally, several missing teeth would have been replaced with a removable partial, full denture or full bridge. Dentures have to be taken out and soaked at night. They can also look unnatural and rub painfully. Dentures and partials make it difficult or impossible to eat certain foods. Natural tooth roots and dental implants are fixed firmly in your jawbone. When you chew, these tooth roots and posts stimulate the jawbone and prevent it from shrinking. You may have seen a person who looked prematurely old because their jawbone had shrunk after wearing floating dentures. 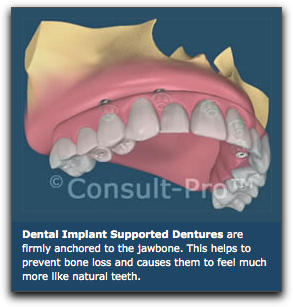 Dental implants help preserve your jawbone and appearance. Dental implants become fixed to the jawbone. Though the life span of a dental implant will vary with each patient, many have lasted for over 30 years. With good oral hygiene and regular cleanings, dental implants can last a lifetime. 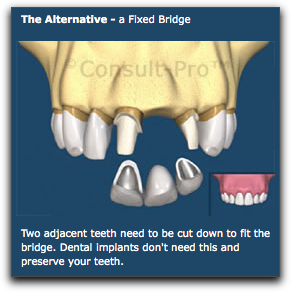 In contrast, the average life span of a traditional fixed bridge is between 10-15 years. Dental implant treatment begins with an evaluation by your general dentist who will determine if you are a good candidate for this procedure. If he feels dental implants might be possible, he will send you to us for a placement evaluation.